Nokia Mobile has officially launched the all-new Nokia 7.1 at the event held in London. Nokia 7.1 a new mid-range device that comes loaded with features and elements that are not commonly seen in the mid-range price bracket. The phone comes in a premium glass sandwich design and the entire frame is made from a single block of 6000 Series aluminum and the dual anodized diamond cut edges give it a premium look and feel not common in the mid-range smartphones. Nokia 7.1 comes in two colors - Gloss Midnight Blue with Chrome accents and Gloss Steel with Copper accents. Nokia 7.1 runs on Android One and will get two major OS updates and monthly security updates for 3 years. Nokia 7.1 is powered by a Qualcomm Snapdragon 636 processor and comes in two RAM and Storage configurations - 3GB/32GB and 4GB/64GB. To keep things running Nokia 7.1 has a 3060 mAh battery and also comes with fast charging support which can charge up to 50% of the battery in 30 minutes. Nokia 7.1 comes with a 5.84" 19:9 Full HD+ display with a notch and is protected by Gorilla Glass 3. This display on Nokia 7.1 comes with PureDisplay technology allowing users to take advantage of HDR content from popular streaming services like Amazon Prime Video and Netflix. PureDisplay tech offers the best HDR solution for mobile phones giving viewers sharp and vivid pictures and is capable of converting SDR content to HDR in real time. Nokia 7.1 is the first smartphone to come with PureDisplay tech that too in a mid-range segment which is the biggest positive of the device. Coming to the camera department, Nokia 7.1 has a Dual 12MP+5MP camera set up at the back which is equipped with purest lenses from ZEISS. The primary 12MP Autofocus sensor comes with an f1.8 aperture and the Secondary 5MP camera is a Black and White sensor for depth sensing to capture those beautiful bokeh shots. The rear cameras come with 2 Phase Detect autofocus which allows faster focusing while capturing images. There is also support for Electronic Image Stabilisation (EIS) and high fidelity 360° Nokia spatial audio (OZO Audio). At the front, Nokia 7.1 comes with a Fixed Focus 8MP camera with f2.0 aperture. Nokia Mobile has also added some more options in their Bothie mode which now allows us to resize the viewfinders of both front or the rear cameras. Nokia 7.1 also comes with the Pro-Mode giving you full manual controls allowing you to capture images the way you like. When will Nokia 7.1 get Android Pie? 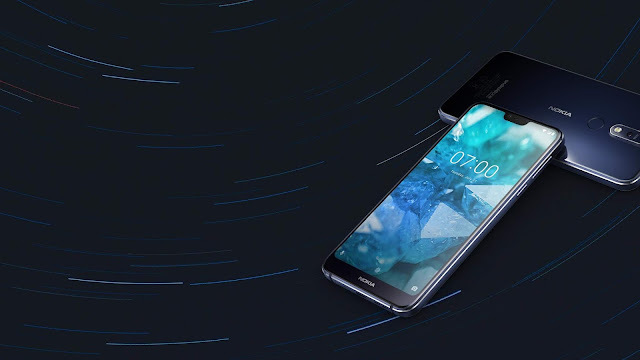 Nokia 7.1 comes with Android Oreo out of the box and at the launch event Juho Sarvikas - CPO of HMD Global showed a Nokia 7.1 which was running on early build of Android Pie. So, we expect that the Nokia 7.1 will receive the Android Pie update soon. Nokia 7.1 is an Android One smartphone which means it will get a very good software support too.